INDIA – Consumer goods MNCs from Nestle and Hindustan Unilever to Coca-Cola and PepsiCo are pushing localisation to the last mile to counter regional competition, fight back the onslaught of local brands, and expand penetration and reach in a market that is showing green shoots of consumption revival. “There are many Indias in India. Each of them needs to be served differently,” Nestle India chairman Suresh Narayanan said. 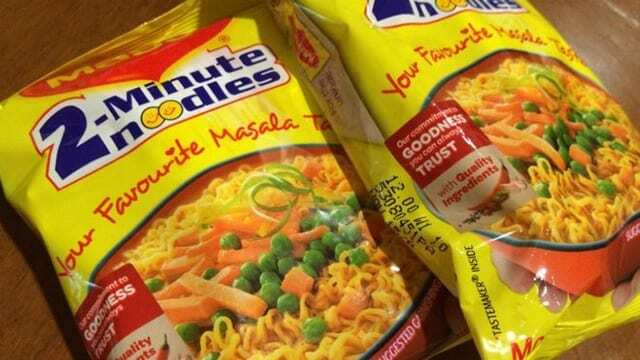 The maker of Maggi noodles and Nescafe said it needs to expand beyond the top 100 towns to ensure sustainable growth for the future and is exploring regional variants of existing brands across its portfolio, for example, for ketchup, coffee and confectionery. “Evolving a structure to divide the markets into 10-15 clusters. And, segmenting product variants, distribution, sales, marketing and communication in relevant geographies should ensure better penetration in existing markets and help expand in adjacent markets,” Narayanan said. For years, home-grown brands have overshadowed global consumer product companies, especially in food segments such as tea, snacks and biscuits, by catering to local tastes and having deeper inroads into the hinterland. MNCs are trying to change this. Nearly three years ago, HUL divided its operations in the country into 14 clusters — under the strategy ‘Winning in Many Indias’ — that helped it raise the quality of distribution and counter local competition. The strategy is handy even for product innovations. “Our Winning in Many Indias strategy has helped us understand finer nuances about local consumers,” said Sudhir Sitapati, executive director-refreshments. HUL launched a lighter version of its coffee brand, Bru Kannadigara, specifically for the Karnataka market earlier this month. “Filter coffee is the preferred coffee in Tamil Nadu while people in Karnataka have a completely different taste profile,” he said. “Local brands typically have a sense of what the customers want in their area. Another huge differentiator is visibility and availability, which local brands have traditionally been better at ensuring,” said Arun Narayanan, chief growth officer at Bizom, which helps FMCG brands in order and inventory management. A study done by Bizom showed that local brands such as Naturalle in Telangana and Sunpure in Karnataka dominate the oil segment. Balaji overtook Lays in Mumbai and Maiyas is doing better than Haldiram in Bengaluru. Even in beverages, a slew of regional brands which are sold only in one or two markets and often operate on intensely competitive trade margins and lower consumer prices, have been holding ground against national ones. There are at least 200 such regional aerated drinks including Bovonto from Kali Aerated Water Works in Tamil Nadu, Hajoori & Sons which sells Sosyo, Ginlim and Lemee in Maharashtra and Rajasthan, and Xalta and City Cola in and around Delhi. Beverages maker Coca-Cola’s president for India and Southwest Asia, T Krishnamukar, said a core focus area for the company was launching region-specific, localised variants of its juices and juice-based drinks under its Minute Maid and Maaza brands. “We want to convert, for example, every mango grown in the country into a beverage. If you have fruits growing only in your area and if you have a beverage based on that, it obviously gives you good consumer connect,” he said. The company, known for aerated drinks Coca-Cola, Thums Up and Sprite, said expansion of its portfolio is based on a “fruit circular economy”, which it says enables farmers to increase yield and companies source pulp locally. Coca-Cola has already seeded select regions with grape-flavoured Portello and jeera drink RimZim. He said the company’s flagship snacks brand Kurkure has been regionalising and diversifying to cater to changing consumer needs. Local variants under Kurkure include Kurkure Green Chilli Chatka for the North, Hyderabadi Hungama for the South, and Solid Masti for the West. Within beverages, PepsiCo said its core Tropicana range has regional skews such as pomegranate for the North or guava for the South. Other regionalised products from PepsiCo include Quaker Nutri Foods in traditional South Indian cuisine.